Paris has a lot to boast about. Not content to be home to the Mona Lisa, the Eiffel Tower and the original Chanel boutique, there’s also exceptional fromage, wine, nutella crepes and more striped Breton T-shirts than you can throw an artisan baguette at. But Paris’s strength is also its biggest weakness: because how can you possibly fit everything in? Well, do as the French do and say ‘pfft’ and quit worrying, because we’ve put together a guide to getting the very best out of a weekend in one of the world’s most magnificent cities. 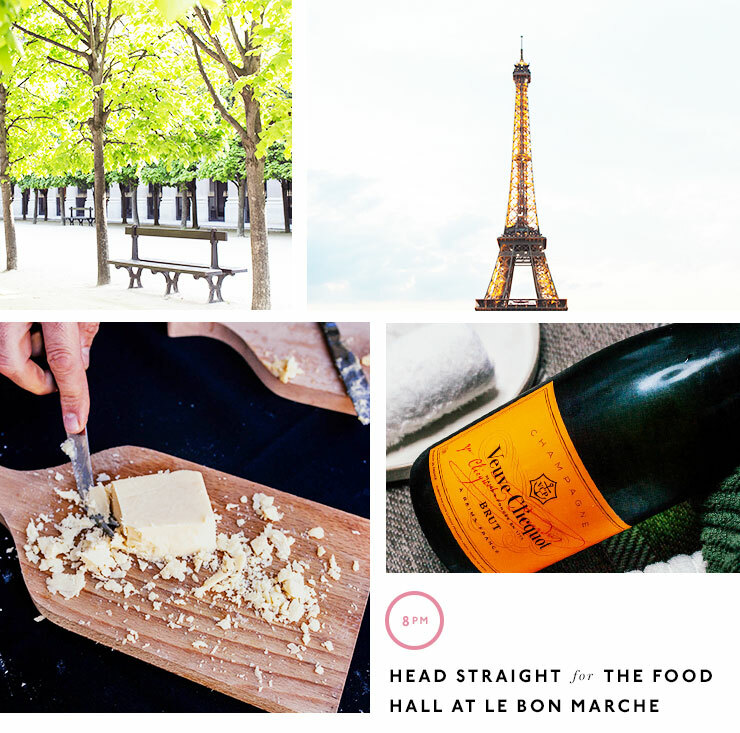 Here are the most amazing things to see, do and taste over 48 hours in Paris. Bon voyage! There’s no shortage of amazing places to stay in the City of Light. The fashion pack head for the sumptuous Hotel Costes, the museum-lovers check into pop-art inspired Mama Shelter, while One Fine Stay has a collection of extraordinary private homes to rent each more exciting than the next, including a bell tower. My personal choice though is Hotel Christine. The unique mansion-turned-hotel, centrally located in the 6th arrondisement, was once the site of an Abbey founded in 1231! 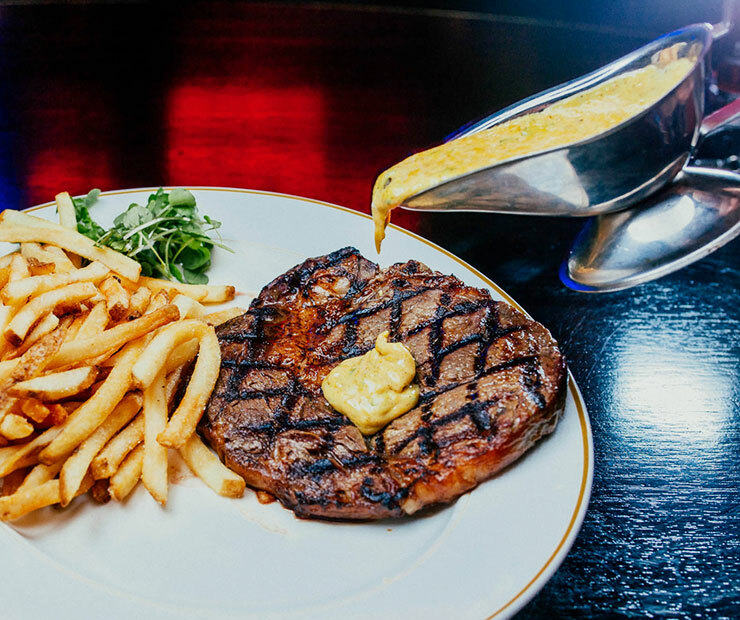 Once you get your bearings, it’s time to sample the best food and drink that our French compatriots have to offer. Head straight for the food hall at Le Bon Marche where you can spend forever tasting wine, cheese and every delectable morsel you could possibly dream of. One thing we Aussie’s can claim above the French is our quality coffee. 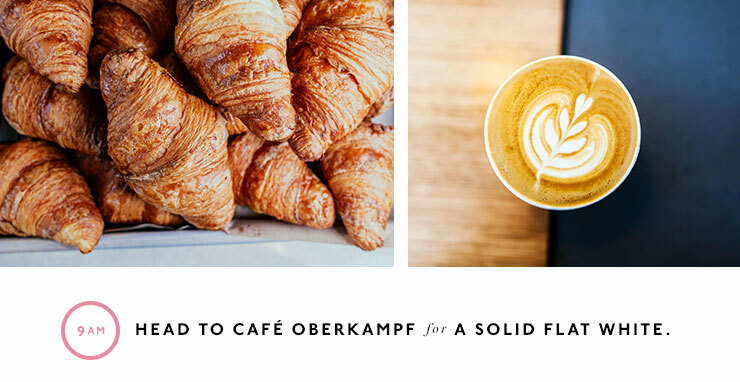 Thankfully, a group of Aussie expats have opened Café Oberkampf in the hip 11th arrondisement, specialising in Australian-style coffee. Head here first for a solid flat white. We’re in Paris so breakfast should obviously be crepes. Tackle the most famous crepes in town at Breizh in the nearby Marais district and don’t be surprised when they are actually savoury! A short walk away fro Breizh is the inverted pyramid of Le Louvre. Housing one of the world’s most extensive and expensive art collections, this is where to go to see Leonardo Da Vinci’s Mona Lisa in real life. And yes, she is as small (and amazing) as they say. Everyone has their limit when it comes to museum viewing and when you hit yours, pop across the street to an exquisite old institution called Angelina’s for their famously decadent hot chocolate. Absolutely forget about your diet for a moment though and just enjoy, because they are as rich as they come. You’ll probably want to walk that off for an hour so take a stroll or the metro over to the Karl Lagerfeld’s bookstore, Librarie7L. After browsing the art, design and architecture books of note you’ll feel 80% more intellectual. If you’ve watched Chef’s Table France on Netflix you’ll be quite conflicted about where to go to dinner in Paris. 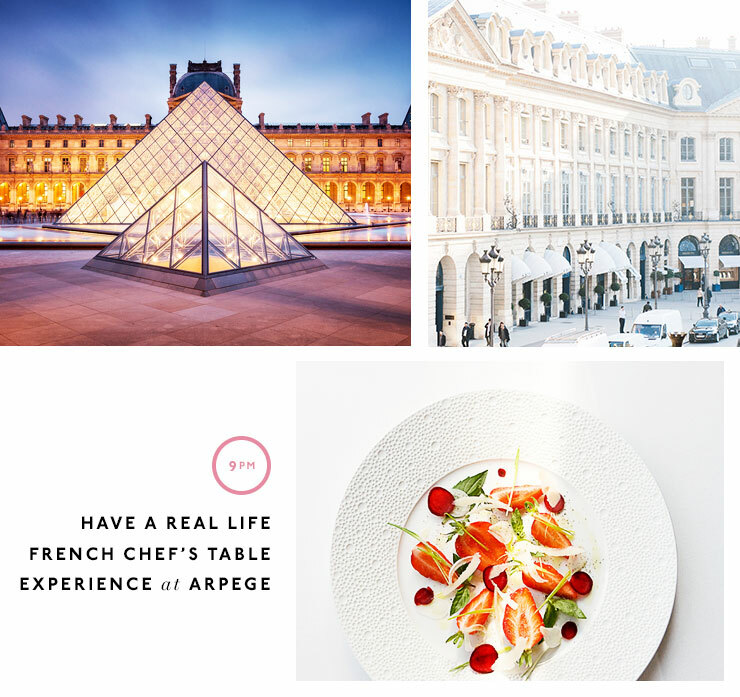 Alain Passard’s Arpege is known for making vegetables the hero of the incredible 3 Michelin-starred menu, while Adeline Grattard’s Yam ‘Tcha is the first ever French-Chinese cuisine to be awarded a Michelin star. Either option will blow your mind. Bookings necessary! There’s only one way to end the night in Paris and that’s to get crunk at Le Crazy Horse Saloon in the Theatre des Champs Elysees. The fact that the envelope-pushing choreography of the cabaret show inspired a number of Beyonce’s music videos should let you know what you’re in for! Sunday mornings are all about boulangeries and bread in Paris. 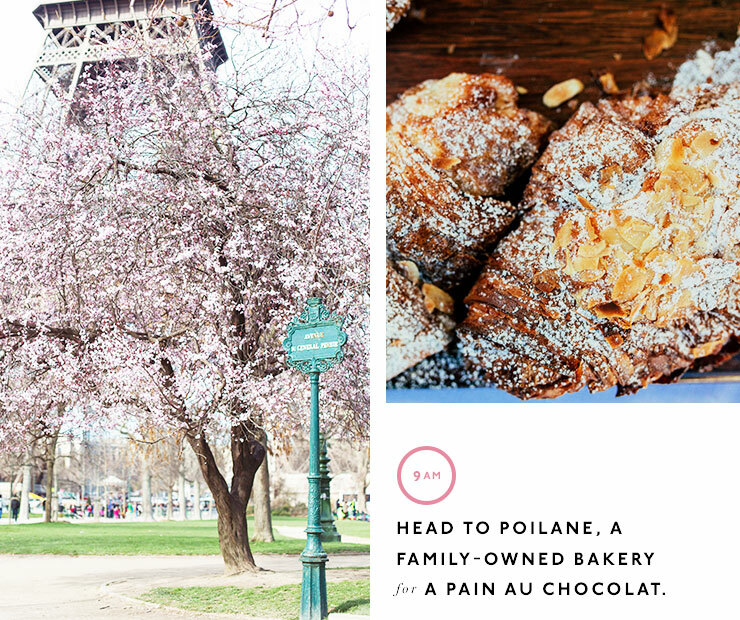 Head to the charming Rose Bakery for a chocolate chestnut tart and caffe latte or to Poilane, a family-owned bakery that has been operating since 1932 for a pain au chocolat. Bliss. French women don’t get fat because they know how to balance their indulgences. So why not follow up the pastries with a chic bike ride to the Eiffel Tower? The Paris rental bikes are easy to access all over the city. And the famed Eiffel Tower is easy to reach from almost every spot in town. One of the best kept secrets in Paris has to be the Musee Rodin, a short stroll from the Eiffel Tower. The museum displays some of famous sculptor Auguste Rodin’s most famous works including ‘The Thinker’ along with his more risqué artworks. Housed in a beautiful mansion with stunning manicured gardens, it has to be one of the most unique museum experiences in the world. While we’re on the Right Bank, it would be amiss not to fit in some shopping. Chanel’s flagship store on Rue Cambon is the perfect place to see where Coco Chanel’s empire began. If you’re going to give your credit card a workout there’s also Hermes, Lanvin, Gucci and Louis Vuitton within walking distance. While away what’s left of your last afternoon in Paris with a café latte at one of the city’s oldest coffeehouses. Café De Flore on the corner of Boulevard St Germain-des-Pres has been the spot intellectuals have come to write, debate and muse for hours on end. Sip your coffee and contemplate living in Paris forever as you say au reviour Paris! Looking for more travel inspo? Here's how to spend 48 Hours In Tokyo!